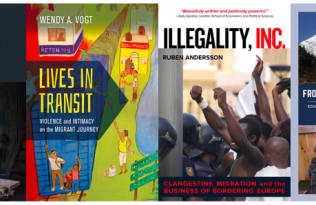 Last week, Ruben Andersson, author of Illegality, Inc.: Clandestine Migration and the Business of Bordering Europe spoke on NPR Morning Edition with Renee Montagne and David Greene. 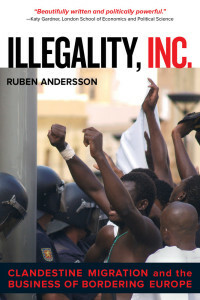 Andersson, following conclusions from his work studying West African migration, theorizes that illegal migration from Africa to Europe has become an industry, creating a number of risks for migrants and fueling the business of smuggling. 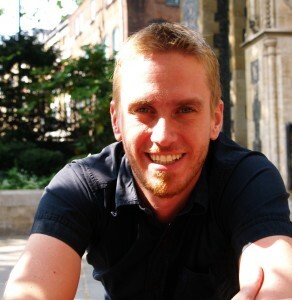 Read the full transcription of the interview and listen to the full audio on NPR’s website. “I think first of all, we need to start de-escalating the rhetoric. 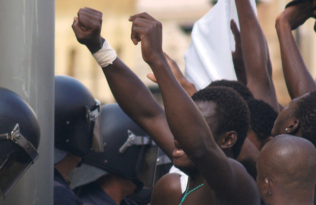 Of course this is a crisis right now in the Mediterranean in terms of the numbers of people dying. But at the same time, we can manage this. We shouldn’t forget here that many parts of Europe are aging very rapidly and we’ll need labor migrants in coming years. So we should really – also for our own sake – try to tap into migration as an opportunity rather than seeing it simply as a threat. And part of that involves re-establishing some form of legal pathways into the continent. . . .
We need to leave an alternative to the smuggling business. We need to start undercutting the smuggling business or otherwise it’s just going to keep getting strong and stronger.